An adapter for the Amiga 1200 that allows it to use up to four IDE drives in PIO mode 4, for a theoretical maximum throughput of 16.4MB/sec. It connects to the A1200's ROM socket, and the ROMs are mounted onto the card. 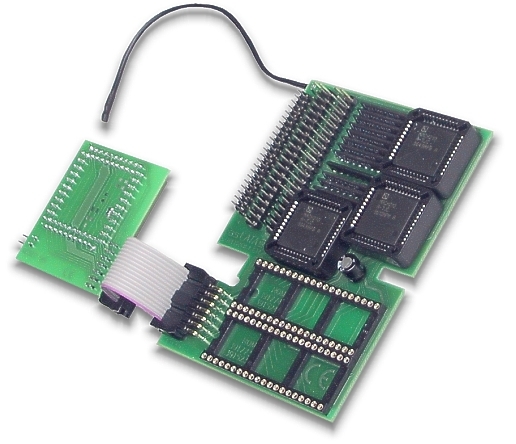 The card is also connected to pin 39 of the internal IDE Connector. This card has seen a lot of redesigns compared to earlier versions and is shipped with newer firmware which means it's faster and uses less CPU time. It is normally shipped with AllegroCDFS and FastATA '99 software.